Children sent to juvenile hall face an uncertain future, their lives hanging in the balance, their schooling disrupted and their path ahead filled with the great unknown. But some children are finding refuge in art, thanks to an innovative program sponsored by the Timken Museum of Art in Balboa Park. 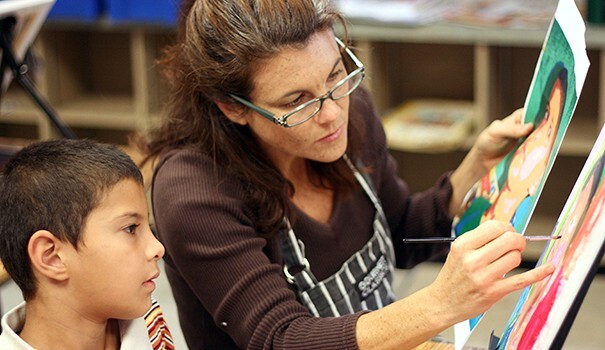 Elizabeth Washburn teaches a boy how to paint in Timken’s Collaborative Art Resources for Education (CARE) program, an artist-in-residence for Title IV schools. 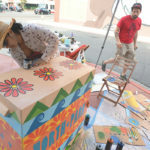 “This program provides new approaches to learning through the arts that deviate from traditional classroom settings and uses English language arts, mind-mapping and brainstorming activities, which helps them to come up with multiple approaches to strengthen their abilities to think more critically,” Washburn said. “The program and activities also provide great therapeutic benefits and builds confidence,” she added. The Creative Choices program is made possible through the generosity of Timken’s patrons, who raise money through events like the annual Orange & Black Ball. 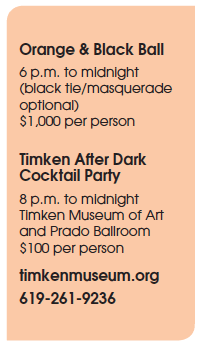 The black-tie, masquerade-optional gala at 6 p.m. Friday, Oct. 30 in Balboa Park will celebrate Timken’s 50th anniversary. 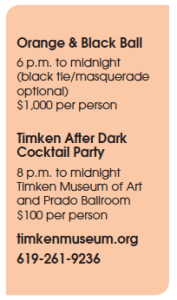 The ball will be held in conjunction with a second celebration, the Timken After Dark Cocktail Party. “By attending the Orange & Black Ball, patrons are not only supporting the Timken Museum of Art, they are supporting arts education in schools and juvenile hall. 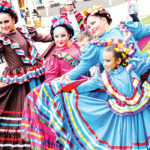 They are supporting arts education in many different venues,” said Megan Pogue, the museum’s general manager. Admission is always free at the Timken, which means a lot to folks who are on fixed incomes or are economically disadvantaged. “We believe that art should not be behind locked doors or limited to the elite. 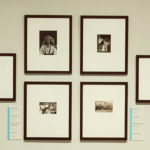 It is at the heart of the Timken’s mission to be able to provide access to art to all audiences. 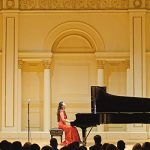 We have always opened our doors to the public free of charge so that as many people can enjoy our collection as possible,” Pogue said. Timken’s arts education and outreach programs extend beyond juvenile hall and include art experiences for the military and their families as well as seniors in nursing homes. “Art speaks to people in a number of different ways. 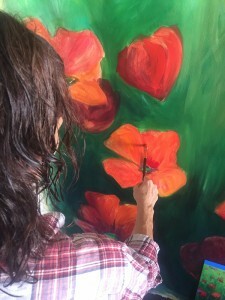 In the case of our Creative Choices program, we are providing the only way the youth in juvenile hall can receive art credit for their GED,” Pogue said. “Outside of the educational requirements, this program provides these youth an opportunity to break the story that they have been told their whole life. It allows them to explore a different way of thinking and prove to themselves that they are not the mistakes they have made in the past. “When these kids live in an environment that is constantly telling them that they are not worthy, art allows them to express who they are in a safe, accessible way. 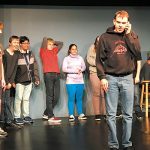 The kids walk away from this program with a better understanding of themselves and a greater chance of breaking the cycle of incarceration,” Pogue said. Washburn, the art instructor, plays a big role in opening eyes to different possibilities and introducing troubled children to new things. She recalled the time when a group of girls from the juvenile system were sent to the Timken for a field trip. Some girls also looked up to Washburn as a different kind of role model, she said, noting that her own background was much more privileged. Washburn said that by working with these children, she has recognized how fortunate her upbringing was and feels the need to give back to society. For Pogue, the Creative Choices program is part of what makes the Timken a special place. As the patrons celebrate the golden anniversary at the Black & Orange Ball, folks will be reflecting on where the Timken is heading in the future. “The Timken is in a very exciting place right now. Our 50th year is truly a golden anniversary and we celebrate the museum’s achievements and its impact on the San Diego community,” Pogue said. It seems so appropriate, then, that upon arrival, gala patrons will stroll through art installations created by students of the museum’s Creative Choices program.